In Salt Lake City and throughout Utah, countless industries rely on multi terrain loaders to make progress possible. No matter how well you manage and maintain your fleet, a heavy equipment “crisis” always seems to occur at the worst possible time. An unexpected machine failure can jeopardize a project deadline, causing substantial harm to your business’s reputation. If you need a lightning-fast multi terrain loader or track skid steer rental in Salt Lake City or anywhere else in Utah, it’s good to know that there’s a Wheeler Machinery Co. location nearby. 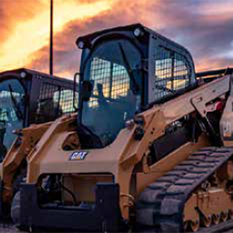 We’ve been providing quick and reliable equipment solutions for Utah construction, mining, agriculture, oil & gas and landscaping operations for more than 60 years! Rent a Multi Terrain Loader for as Long as You Need It! Whether you need an MTL rental in Salt Lake City for a day, week, month or even a year, Wheeler Machinery can accommodate you. We always have a ready supply of late-model, low-hour Cat® MTLs and track skid steers that are available for immediate pickup or delivery. 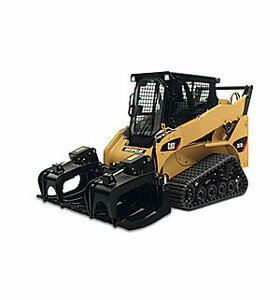 We even offer the ability to alter the terms for your track skid steer and multi terrain loader rentals or swap machinery to ensure you have the equipment you require to get the job done. We understand that in the earthmoving world, time is money. We’ll do whatever it takes to get your track skid steer or multi terrain loader rental to your jobsite quickly, helping you minimize unproductive downtime. And with the 24/7 availability of the online Wheeler Cat Rental Store, instant product information is always just a few mouse clicks away. 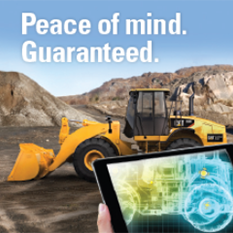 Are you ready to achieve a higher level of operational efficiency with direct access to top-quality multi terrain loaders and track skid steers in Utah? We offer budget-conscious solutions and the best quality, service and selection in the region. 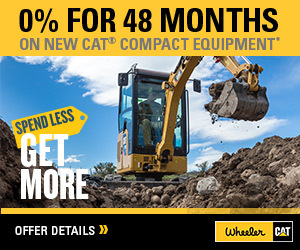 Make Wheeler Machinery your one-stop source for an MTL rental in Salt Lake City and beyond!